Goes up. And down. 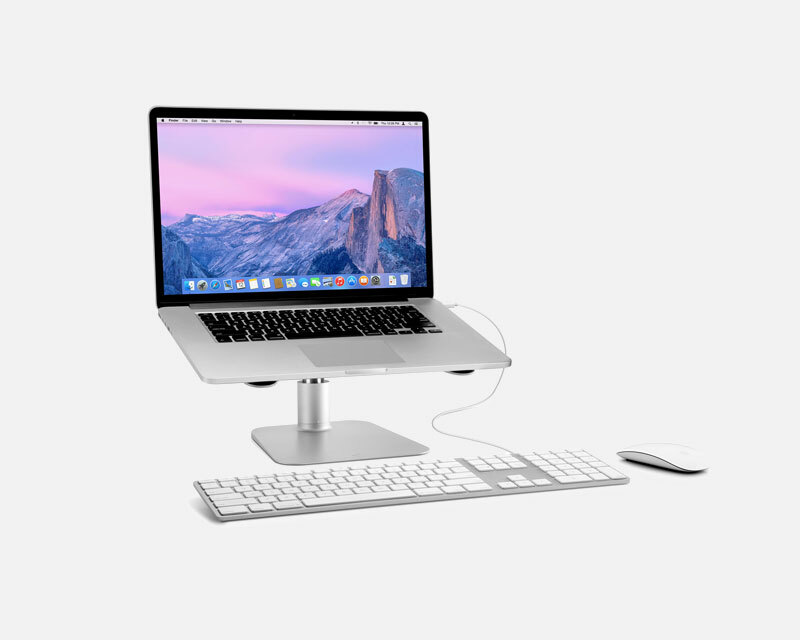 HiRise lets you set your MacBook a few inches off your desk or up to a half foot off your desk. Regardless of what size MacBook you use, this stand lets you find your perfect viewing height. 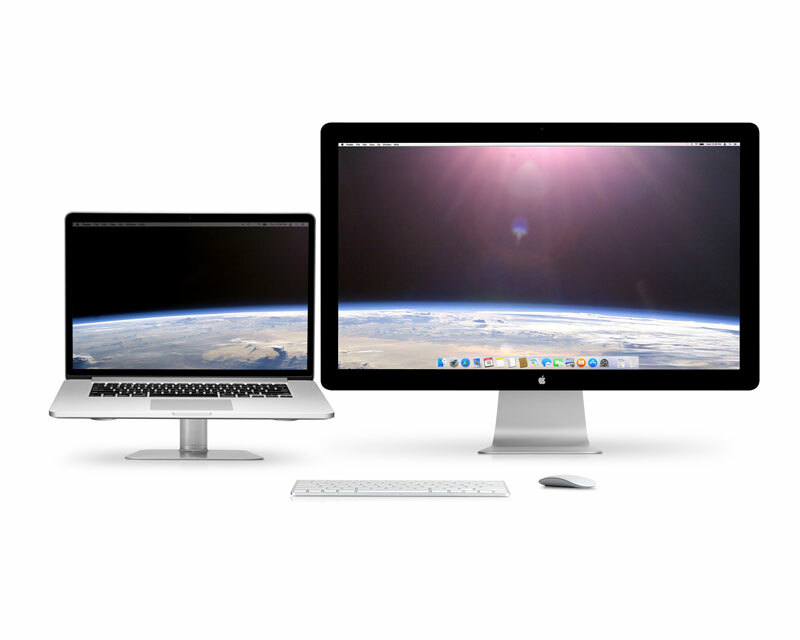 Unique Dual-Screen Backgrounds for HiRise. Perfect alignment. 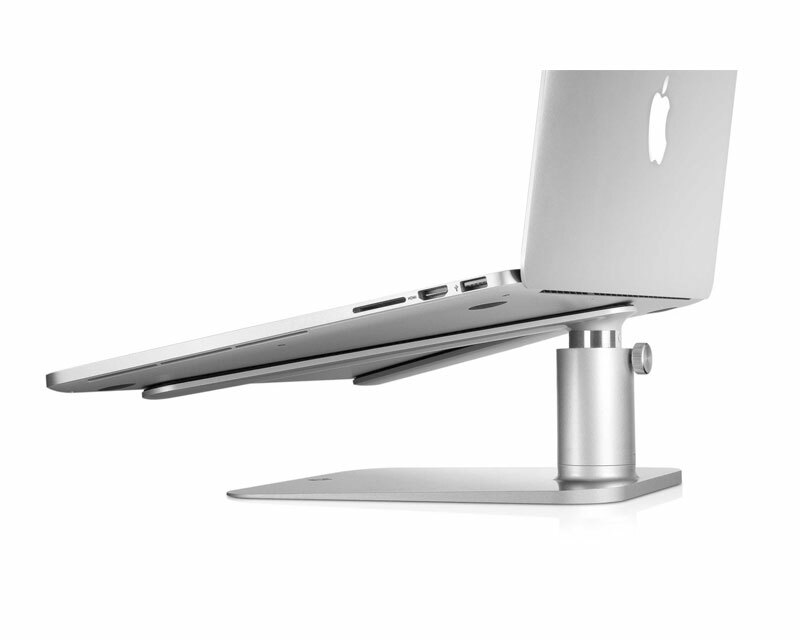 Use HiRise to align the screen on your MacBook with your favorite external monitor. In this photo we have a 15-inch MacBook Pro aligned with a Thunderbolt Display.